Do you ever feel like you’ve gone back in time? Like you’ve stepped back into another day long ago? 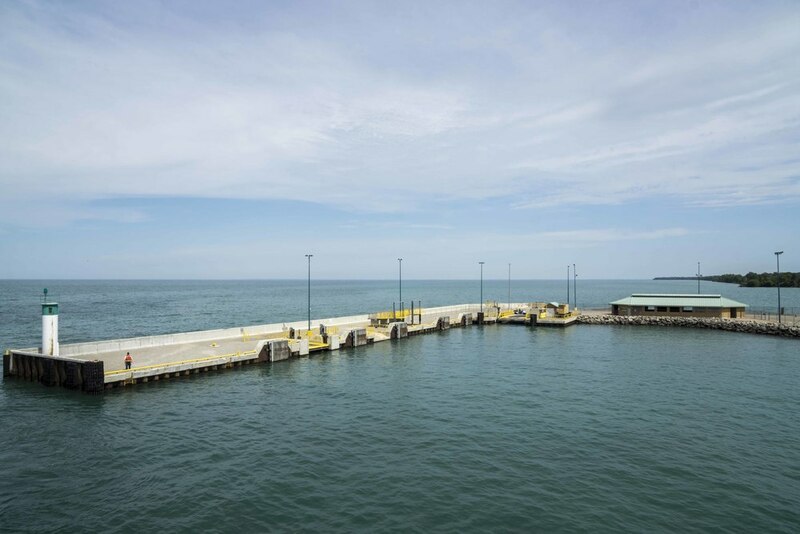 From the moment the ferry pulled into the dock at Pelee Island, wonderful childhood memories came back to me. 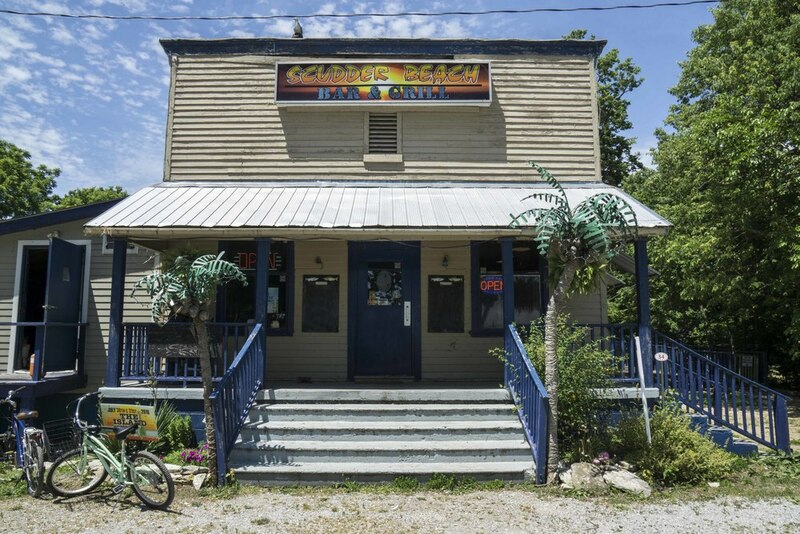 Daniel, Todd, and I spent a perfect day on Pelee Island and everywhere I looked I kept thinking… this place hasn’t changed a bit! Pelee Island is the southernmost point in Canada and is located just north of Put-In-Bay and the other Lake Erie Islands. 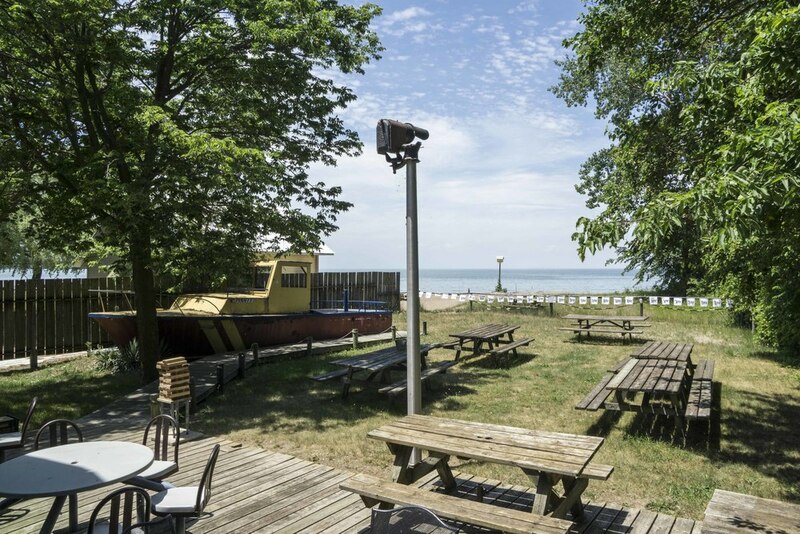 Pelee Island is accessible by ferry from both Leamington, Ontario and Sandusky, OH. Pelee island has a marina for those boating over and an airstrip for those flying. If entering Pelee Island from the US, immigration and customs is necessary. 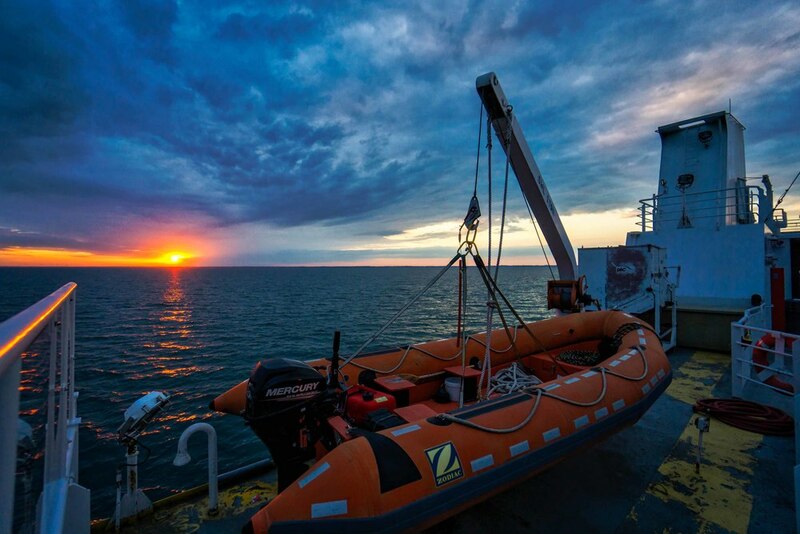 The Pelee Island website offers more information regarding the requirements. Our first stop was Comfortech Bike Rentals which is located just north of the ferry dock… just turn left on the main road in front of the dock and it’s about 1/8 mile on the right. We paid $60 Canadian to rent bikes for the day (2 adults and 1 child). Biking is a great way to tour the island… there’s a road that hugs the lakeshore around the island and leads to most of the major points of interest. The full route is about 18 miles, but there are other roads that cut through the middle of the island in case 18 miles is too much. From the bike shop we headed for the north end of the island to visit the marina and lighthouse. On our way we enjoyed views of the lake and quaint cottages and bed and breakfasts (there are no hotels on Pelee Island, but lots of bed and breakfasts and cottages for rent). When we reached the northwest point of the road we noted two of the several restaurants on the island. We headed east and stopped at the marina. The marina has a shop and washroom facilities that are open to the public. The marina has been renovated since I was last there and had a number of new docks. We had fun watching people fish, looking for snakes and fish in the water, and enjoying the views. We also noted a number of fishing charter boats. There is an ice cream and hot dog stand next to the marina and Scudder Beach Bar and Grill is few steps away. 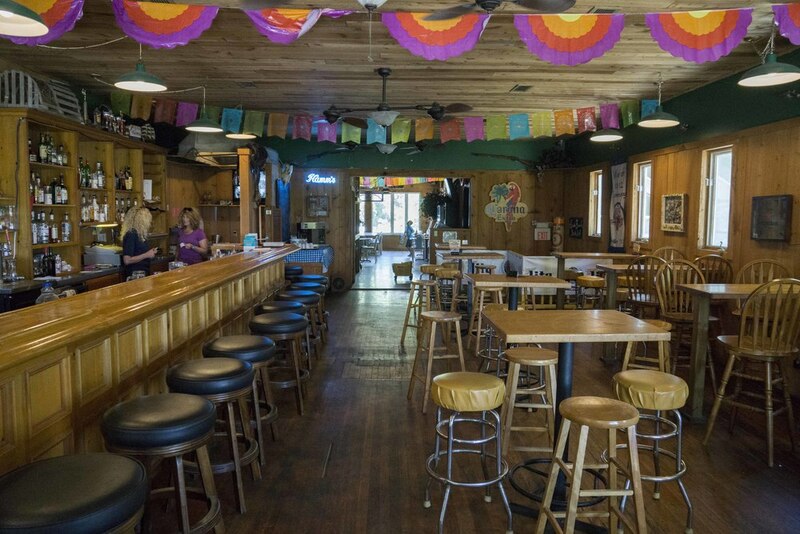 We stopped at Scudder for lunch… we expected typical bar food and were really excited when we got the menu. 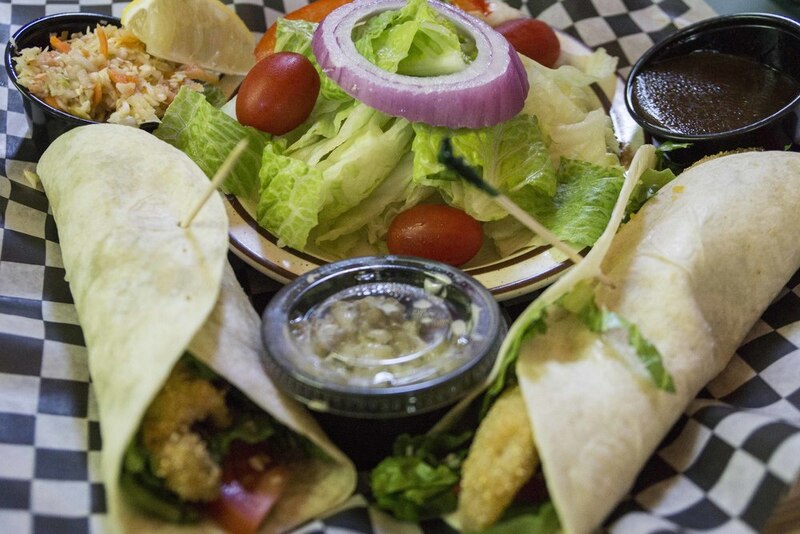 I ordered the wedge salad, Todd had perch tacos, and Daniel had chicken fingers and curly fries. All of our food was really good! The atmosphere is really fun and there’s a big yard in the back with tables all the way up to the lake. When we left Scudder we were in a hurry to get to the lighthouse and then back to the ferry dock to make the 4pm ferry. As we were pedaling along I looked at my watch and knew that we needed to head back to make the ferry. We stopped and huddled up… we had a decision to make… hurry back or stick around and take the 8pm ferry. The day was perfect and we agreed to go with the flow… stick around and enjoy! The lighthouse is on the northeast tip of the island. We parked the bikes in the parking lot next to the trail, applied bug spray (a must before getting on the trail), and set off on the short trail that leads to the beach (about 5 – 10 minute walk). The beach is beautiful and creates a serene setting for the beautiful old lighthouse that sits at the point. The lighthouse is something that has changed since I was last at Pelee Island… I remember it crumbling… it’s obviously been through a major renovation! When we left the lighthouse we headed south down the eastern coast of the island. The road on the east side of the island is rough and rocky. The lake side is dotted with cottages and the inland side has a rural feel with fields and a few houses. We took a quick stop about 2/3 of the way down the coast at the campground and public beach. We noted that the campground has a store with some snacks and refreshments. We decided that instead of going all the way to the southern end of the island we’d cut across East West Rd. back to the ferry dock area. On the way, we passed a couple Pheasant Hunt areas… Pelee Island is known for its hunts in the fall months. As we were riding I thought… everything since we left the lighthouse is exactly as I remember it! The Pelee Island Winery is at the west end of East West Rd. very close to the ferry dock. We intended to stop but it was closed by the time we got there. It looked beautiful and we’ll definitely visit on our next trip to Pelee Island! After dropping the bikes off Daniel got a well-deserved ice cream cone from Coneheads, which is right by the bike shop. He was especially excited that they had the same Chocolate Fudge Brownie he had in Leamington! Our last stop was Westview Tavern which is right across from the ferry dock. We sat on the deck and enjoyed the view, some refreshments, and dinner. The food was good and the service was great. We enjoyed talking to our waitress, who works there seasonally and gave us some really interesting insights on the island and what it’s like to live there. As we boarded the ferry back to Leamington the sun was setting and we had the feel of a perfect day. We’ll be back!